Where does your identity lie? It’s so easy to say Christ, but is this actually a reality in your life? I’m not trying to be hard on you. I’m coming from a place of experience. I’ve said my identity was found in Christ, but due to a change in circumstances I found out that my identity was found in things other than God. Sometimes we will never know until that thing is taken away. A broken cistern can only hold but so much water. It’s useless. A broken cistern can have the appearance of being full, but inside there are cracks that we don’t see that causes the water to leak. How many broken cisterns do you have in your life? Things that hold no water in your life. Things that give you momentary happiness that leave you dry in the end. Whenever you have a broken cistern the water will not last. In the same way whenever your happiness is coming from something that is temporary your happiness will be temporary. As soon as the thing is gone, then so does your joy. Many people find their identity in money. How about when the money is gone? Many people find their identity in relationships. How about when the relationship ends? There are people who put their identity in work, but how about if you lose your job? When the source of your identity is not eternal that will eventually lead to an identity crisis. When your identity is not found in Christ. Knowing where your identity lies is serious. 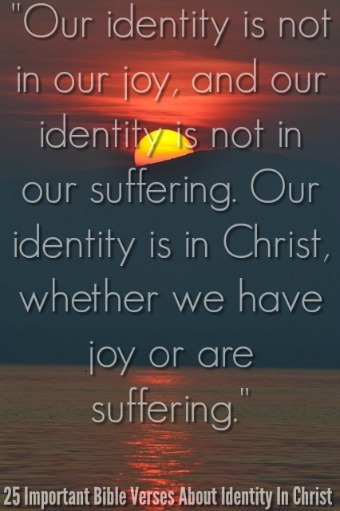 When our identity is found in things there is a chance that we will be hurt or those around us will be hurt. For example, a workaholic can neglect his family and friends because his identity is found in work. The only time that your identity will not harm you is when it is found in Christ. Anything apart from Christ is meaningless and it only leads to destruction. Only Christ can quench our spiritual thirst. That longing and that desire to be satisfied can only be quenched by Christ. We are so busy looking for our own ways to improve ourselves and satisfy that pain inside, but instead we should be looking to Him. He is the very thing that we need, but He is also the very thing that we so often neglect. We say we trust God and we believe His sovereignty but is it practical? When you run into trouble what is the first thing that you do? Do you run to things for fulfillment and comfort or do you run to Christ? What does your first response to roadblocks say about how you view God? I believe most Christians have a low view of God’s sovereignty. It’s evident because we worry and seek comfort in things over praying and seeking comfort in Christ. From experience I know that all my efforts to obtain joy that lasts falls flat on its face. I’m left broken, far more broken than ever before. Is something missing in your life? What you are longing for is Christ. Only Christ can truly satisfy. Run to Him. Get to know who He is and realize the great price that was paid for you. 9. Isaiah 55:1-2 “Come, all you who are thirsty, come to the waters; and you who have no money, come, buy and eat! Come, buy wine and milk without money and without cost. 2 Why spend money on what is not bread, and your labor on what does not satisfy? Listen, listen to me, and eat what is good, and you will delight in the richest of fare. However, your identity is not found in what you say to yourself or what other people say about you. 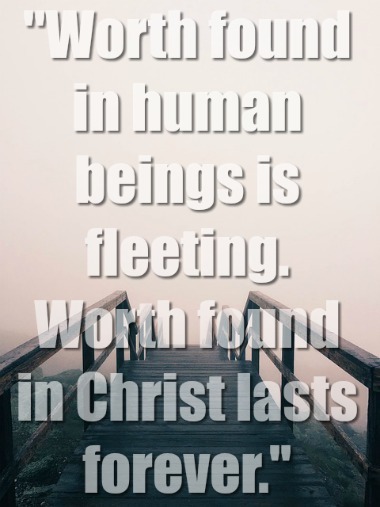 It is found in Christ alone. Christ took away your shame on the cross. Before the world was created He looked forward to you delighting and finding your worth in Him. He desired to take away those feelings of inadequacy. Realize this for a second. You have been chosen by Him. He knew you before birth! On the cross Jesus paid the price for your sins in full. He paid for everything! It doesn’t matter how I see you. It doesn’t matter about how your friends see you. The only thing that matters is how He sees you and that He knows you! In Christ everything changes. Instead of being lost you are found. Instead of being seen as a sinner before God you are seen as a saint. Instead of being an enemy you are a friend. You are loved, you are redeemed, you have been made new, you are forgiven, and you are a treasure to Him. These are not my words. These are God’s Words. This is who you are in Jesus Christ! These are such beautiful truths that unfortunately we often forget. Being known by God should cause us to constantly look to the One who knows us far better than we know ourselves. If the Spirit of God dwells in you, then you belong to God. This is awesome because it comes with so many privileges. Your identity now is found in Christ and not yourself. With your identity in Christ you are able to glorify God with your life. You are able to be the light that shines in the darkness. Another privilege of belonging to Christ is that sin will no longer dominate and rule over your life. That does not mean we won’t struggle. However, we will no longer be slaves to sin. 24. Ephesians 1:18–19 I pray that the eyes of your heart may be enlightened in order that you may know the hope to which he has called you, the riches of his glorious inheritance in his holy people, 19 and his incomparably great power for us who believe. That power is the same as the mighty strength. 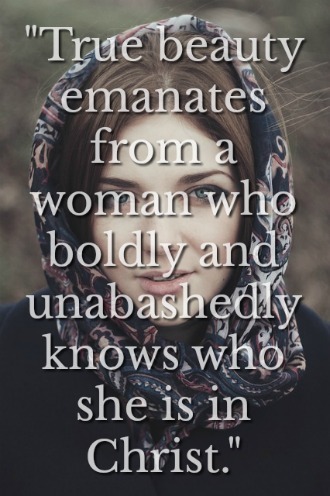 When your identity is rooted in Christ shame can never overtake you. There is so much that the Bible says about identity. Realize who you are. You are an ambassador for Christ as 2 Corinthians 5:20 says. 1 Corinthians 6:3 says that you will judge angels. In Ephesians 2:6 we learn that we are seated with Christ in heavenly places. Knowing these awesome truths will change the way that we live our lives and it will also change the way that we respond to different situations.